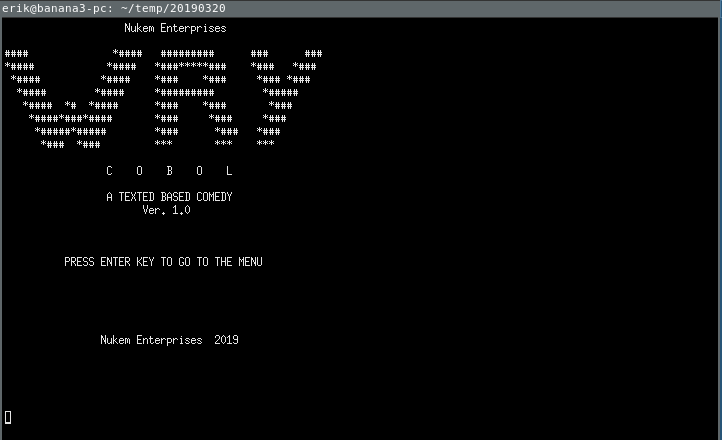 This is a port of the original Qbasic game I created called Wry. 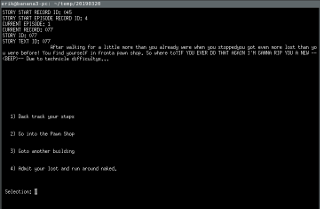 The engine for the game is written in COBOL (GnuCOBOL to be exact). The data files that are used to play each episode and their stories were generated from the original Wry source code and parsed through a Java application I created called "Wry Parser" (how original). The game includes all original episodes as well as the unlocking of episode 4 after one of the first three episodes are completed. This version of the game does not suffer from the dreaded stack over flow issue the original game had. Release Date: 2/22/19 (ver 1.0).